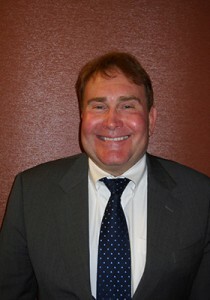 Don Evans is an at-large director for the Water Design-Build Council, an organization established in 2006 to create a vocal and effective industry advocate for the value of collaborative approaches to delivering water and wastewater infrastructure projects and to promote best practices in design-build and CMAR procurement and implementation through education and outreach. As President of Evans Group International, LLC, a strategic advisory consulting firm, he advises firms and organizations on environmental and clean energy technologies, strategic decision making, and operational excellence. Prior to starting his own practice, Don served as Vice Chairman and Chief Marketing Officer of CH2M HILL Companies; Director, President, and Group Chief Executive of the Civil Infrastructure Group; as President and Chief Executive Officer for the operations subsidiary, Operations Management International, Inc. (“OMI”); as President of the Water Business Group; and as President of the Engineer Procure Construct (EPC) Group of this company. During his tenure with this company, annual revenue increased from approximately $10 million to more than $6 billion. Evans holds a Bachelor’s degree in Civil Engineering, a Master’s degree in Civil Engineering, and an M.B.A. degree, all from Stanford University.